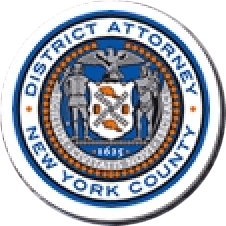 Manhattan District Attorney Cyrus R. Vance, Jr., today announced the sentencing of MELVIN KELLY, a/k/a, ANTHONY JONES, 58, to 25 years-to-life for the May 1994 murder of a pregnant 32-year-old woman, Isabelle Joye, on the rooftop of a Harlem apartment building. On October 30, 2015, KELLY pleaded guilty in New York State Supreme Court to one count of Murder in the Second Degree. According to the defendant’s guilty plea and statements made on the record in court, in the early morning hours of May 18, 1994, KELLY raped and fatally strangled Ms. Joye, who was five months pregnant, on the rooftop of a Harlem apartment building. KELLY fled, and a young boy discovered Ms. Joye’s half-naked body hours later. The case remained unsolved for 18 years until new forensic techniques were used to test for DNA recovered from underneath the victim’s fingernails and on two tissues left by the defendant at the crime scene. A DNA profile was developed and uploaded to the New York State DNA Databank, where it matched the defendant’s DNA profile from a 2007 felony conviction in Manhattan. Assistant District Attorney Melissa Mourges, Chief of the Forensic Sciences/Cold Case Unit, handled the prosecution of this case with Assistant District Attorney Michelle Bayer, under the supervision of Executive Assistant District Attorney John Irwin, Chief of the Trial Division. Senior Rackets Investigator Siobhan Berry and Trial Preparation Assistant Shanni Davidowitz assisted with the case. District Attorney Vance thanked NYPD Detectives Edward Clifford and Ray Davis, as well as OCME Criminalist Heather Nelson, for their assistance with the investigation.